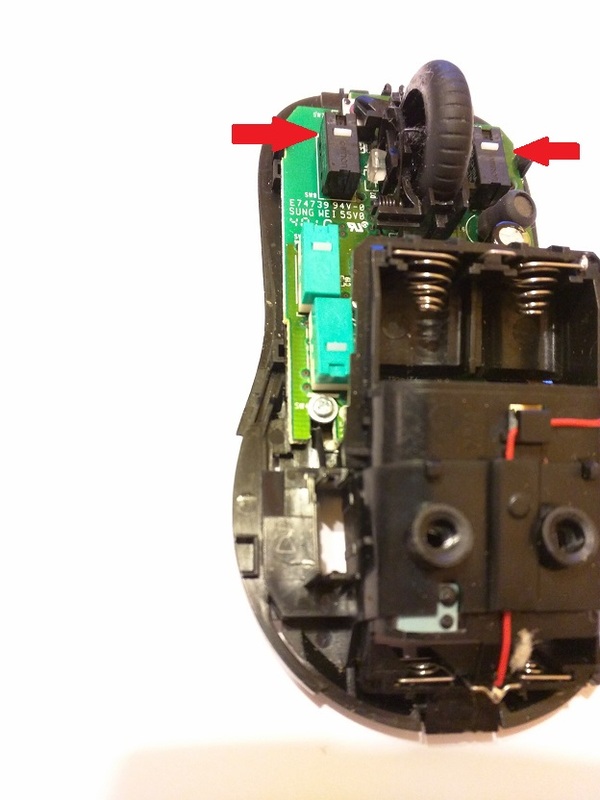 In the “good old days”, the usual procedure would be to turn the mouse over, unscrew the bottom and remove the mouse ball. 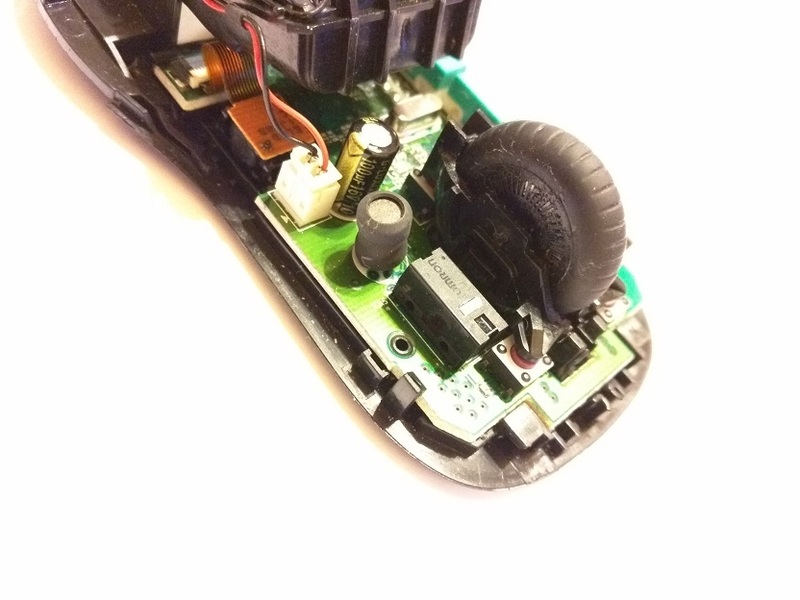 Then you cleaned out the seat and the tiny little wheels that made contact with the mouse ball. Once the dust and hair were cleaned out, the mouse would begin to behave again. Today, my mice of choice are the Logitech wireless M310 and M510 mice. These aren’t gaming devices. You’ll typically find them in a business environment. They use the Logitech Unifying receiver to connect wirelessly to the laptop or desktop and an infrared laser for positioning. Which means no more mouse balls. However, the things still collect dust with age. The M510 mouse I’ve had for over 5 years and have grown somewhat attached to the thing. So when the left click button started to misbehave as described above, I was a little reluctant to part ways with it. Fortunately, repair is quick, simple, and easy to perform. However, I have to make this caveat. 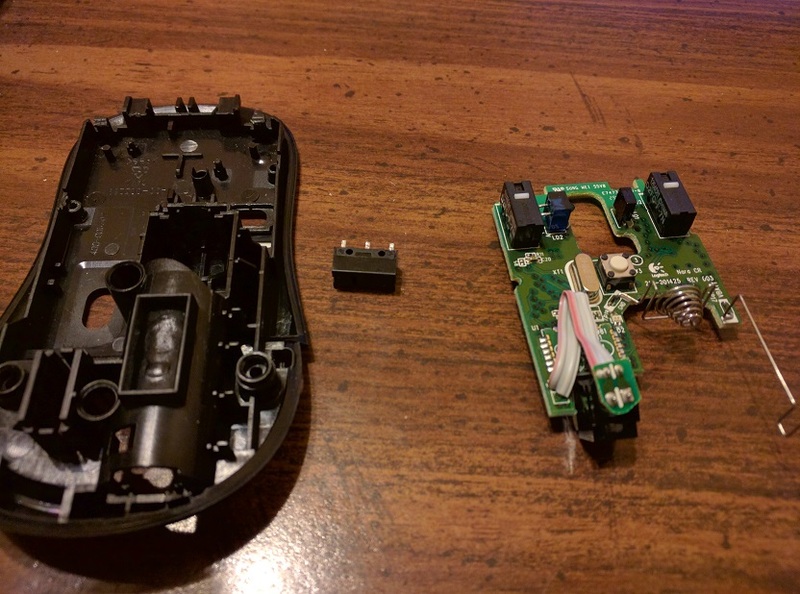 These are relatively low cost mice. You can find used ones on Amazon or re-certified ones at Microcenter for as little as 20 bucks. Incidentally, Microcenter retails the M510 Logitech mouse for $40 as does Logitech on its site. But you’ll have to weigh all of these factors when you are thinking about repair. 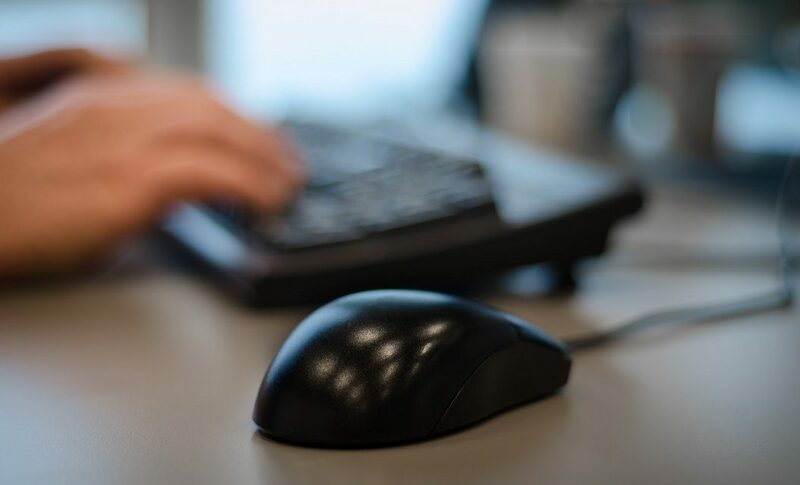 If you’re a sales rep or a blogger who gets irritated when your tech breaks down, it makes more sense for you to order the mouse online and be done with it. However, if you are like me, you have all of the tools to perform a repair (soldering iron, solder, desoldering tool, etc. ), and repairing stuff gives you a feeling of accomplishment, then this will be a quick fix that will enable you to claim an easy victory. First up is the clean. This will probably take care of most of the problems that you’ll encounter with these mice. These particular devices are simple to get into. Removing two screws in the battery well will allow you to separate the two halves and open the device. So first turn off the mouse and take out the batteries. 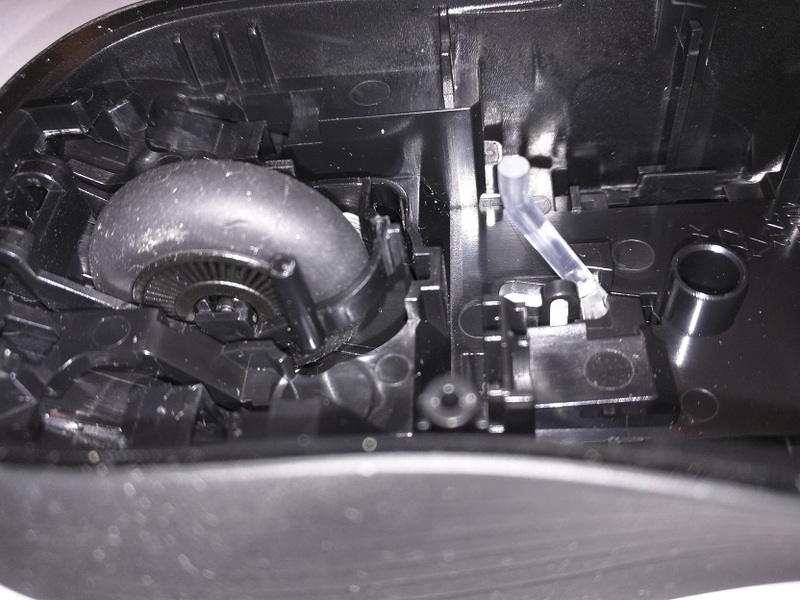 You’ll find the two screws inside the battery cavity. After removing these screws, you should be able to separate the two halves. When open, you’ll immediately notice that these devices, like most computer devices, tend to collect dust and hair. The longer the device is in service, the more hair and dust you’ll find inside. So the first step is to blow out the mouse chassis with canned air. Next, you’ll want to pay attention to the laser lens on the bottom of the chassis. When that gets clogged up, the mouse will seem unresponsive on screen. So train the tip of your canned air onto the mouse lens and give it a good burst. Lastly, you’ll want to pay attention to the wheel assembly. The wheel in these devices has a notched layer that cuts an infrared laser and produces pulses as the wheel is spun. The circuit uses the pulses to produce scrolling on screen. Naturally, when something interferes with those pulses, like caked-up hair and dust balls, you’ll have intermittent scrolling problems. So train your canned air on that wheel assembly and clean out the wheel vanes. However, you may need a pair of fine tweezers to extract the really big bits. As I said previously, I’ve had these mice for quite a while, 3 plus years and counting. As with any device comprised of mechanical systems, the mechanics are the first to wear out. Mice are no exception. 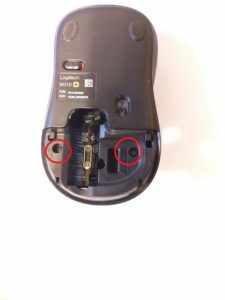 I’ve explored a number or tech forums and found quite a few complaints about intermittent mouse problems. 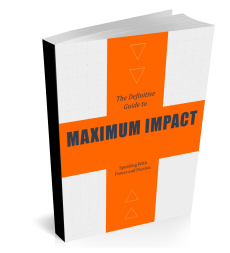 All of these problems involved the left mouse button – the button that gets used the most. What you see here is the M310 bottom half of the chassis on the left and the circuit board on the right. That little black box in between the two is the micro switch that controls the clicks. That mechanical switch is nothing more than a springy strip of specially shaped copper. As you can imagine, any thin, metal strip will lose some of it’s spring after lots of use. There are quite a few online videos that show you how to straighten out that spring to give you some additional mileage out of the micro switch. If you are really in a pinch, you can try to effect this repair. However, I should warn you that you will need a considerable amount of manual dexterity and patience. After 45 minutes of trying to get that little copper strip seated properly and failing, I opted to simply replace the whole switch. The switch has 3 connectors and replacing it is a simple solder job. You can find the switches (OMRON D2FC-F-7N Micro Switch ) readily available on Amazon and they run about $8 for 6 switches. Total time to repair, including pulling out the old switch, should be under 10 minutes, depending on how well you can handle a soldering iron. Once you replace the switch, simply reassemble the chassis, replace the screws, install the batteries and you are good to go. 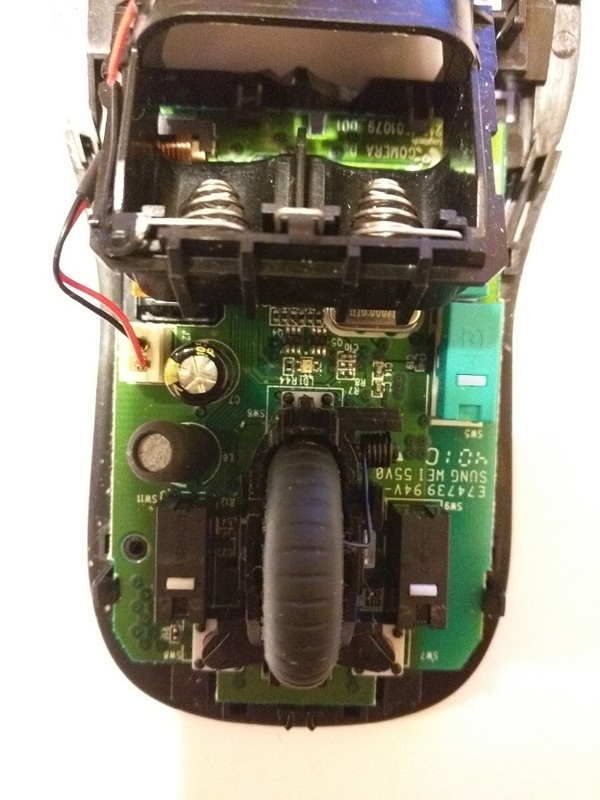 Oh, before you replace the screws, be sure to test the mouse buttons to insure you’ve got a solid click before screwing everything down and sealing it up. 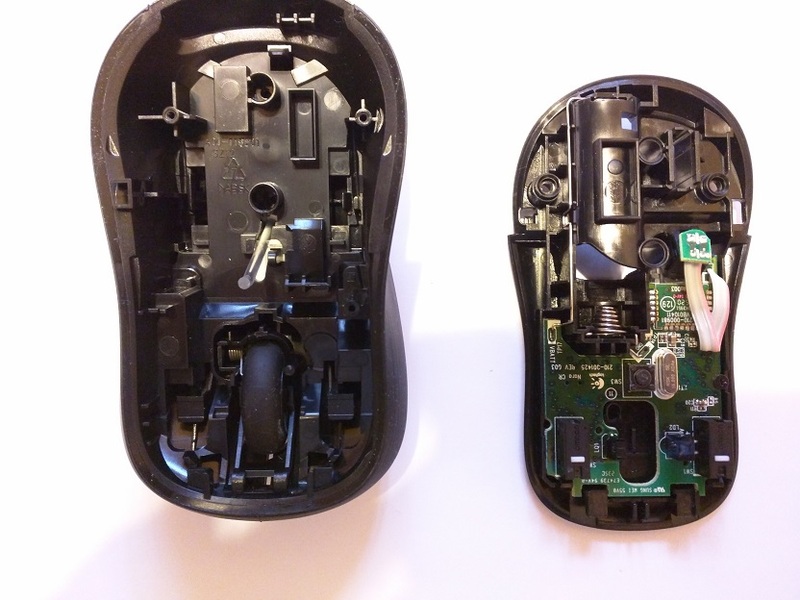 Again, if you are one of those people who faint at the thought of taking something apart and you went to extreme lengths to avoid those lab classes in college, then you’ll probably want to simply buy a replacement mouse on Amazon. On the other hand, if fixing stuff gives you a sense of satisfaction and you have about 30 minutes of discretionary time, this could be an easy layup for you. Repair or replace. Make your choice.